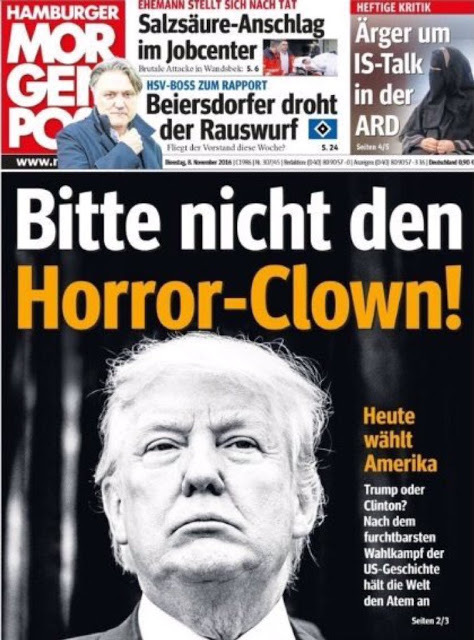 Genius German humor. 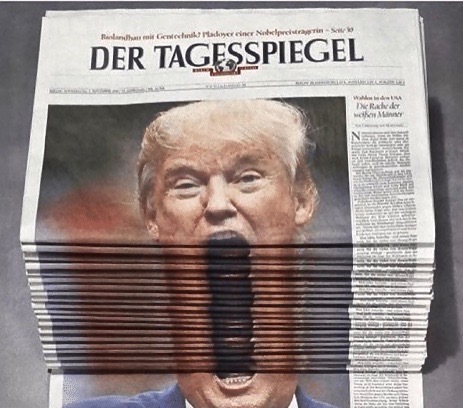 Der Tagesspiegel, German daily newspaper. Hey why does nobody say 'lugenpresse' anymore? It fell out of circulation after its users were hanged at Nuremberg. Angela Merkel and Donald Trump meet at the White House. Possible underlying subtext provided. "Please do not use the horror clown!" "Those who are preaching hate in our country will be asked to leave", says Donald Trump, not understanding the concept of irony. 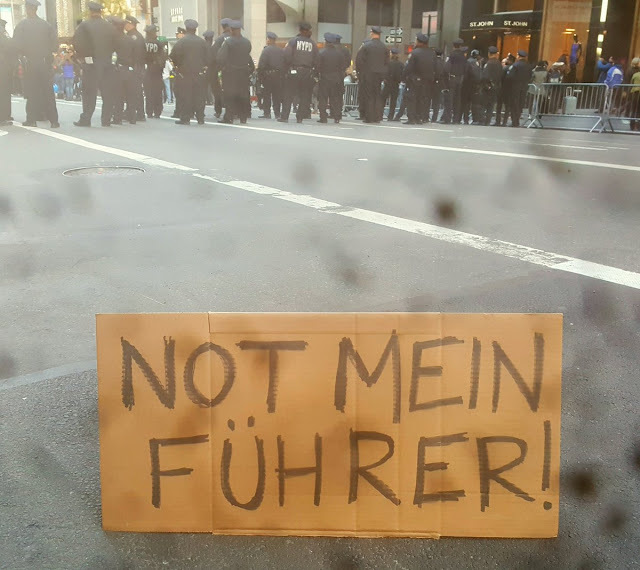 I have the best protest. They are the most well-attended protests. They are tremendous.